Reports: After Smackdown Bully Rosie Won't Return to "The View"
Sing Halleluiah!… Our long national nightmare is over! SHE WON”T BE BACK- Google It! It was a bad week for Rosie. Comparing our troops to terrorists didn’t go over so well with some Americans. 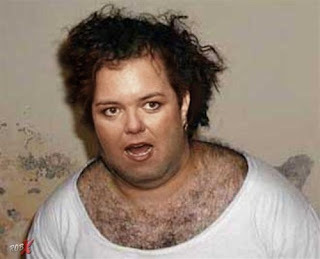 Rosie O’Donnell was so upset after she was confronted by co-host Elisabeth Hasselbeck that she may not return to “The View”. ** TMZ says it’s official. The View News says it’s official… She won’t be back. Gina Cobb– She stopped being funny a long time ago. 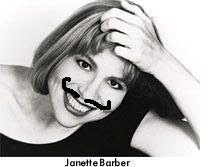 Meanwhile… Rosie producer, Janette Barber, was escorted from the set after the show on Wednesday for drawing mustaches on Hasselbeck’s photos in the studio. ROSIE O’Donnell left “The View” with a bang, not a whimper, following her on-air smackdown with co-host Elisabeth Hasselbeck on Wednesday. Meanwhile, “The View” went on yesterday without O’Donnell, who was taking a previously planned day off to celebrate partner Kelli Carpenter’s 40th birthday. Hasselbeck – who had tangled with O’Donnell before about President Bush’s handling of the Iraq war – was on the show with Joy Behar, Barbara Walters and guest host Kathy Griffin. The four discussed the blowup only briefly before switching topics. As for O’Donnell, she’s been posting comments on her personal Web site, rosie.com, fueling speculation she might not return to “The View” ever again. Her scheduled last day is Wednesday, June 20. BLOWOUT On “The View”… Hasselbeck Takes Down Rosie!